Pre Ordered Platters available to be in your suite on arrival. You should try some of the great cafes and restaurants in around Mt Dandenong, Olinda and Sassafras, but if you’d like something to be in your suite on arrival we have a small selection of platters that you can pre-order. As we get stock-to-order, to ensure freshness, orders must be made in advance of arrival. A selection of 3 dips served with Kalamata Olives and plenty of turkish or pita bread for two people. 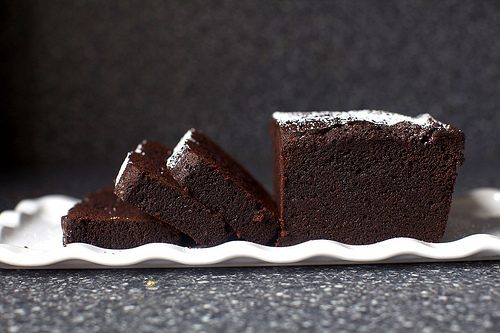 Mini Chocolate Cake, the perfect size for two people.